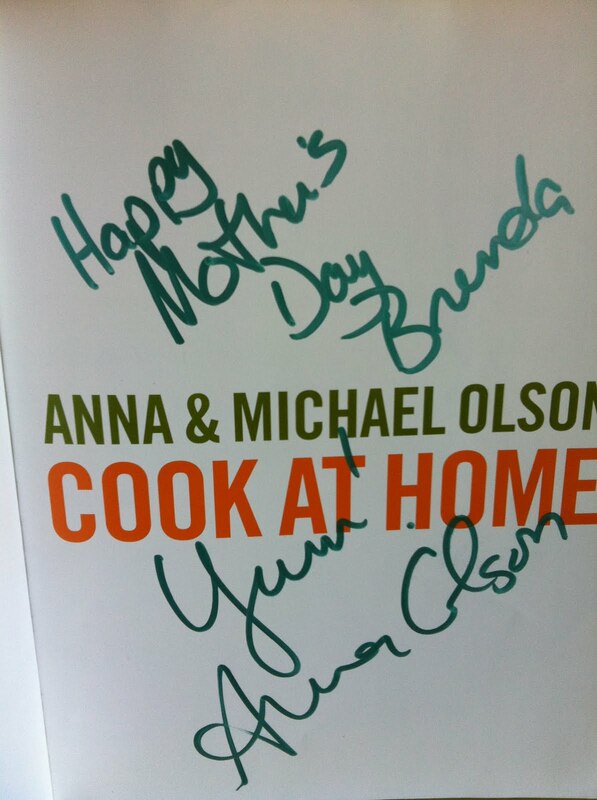 I love Anna and Michael Olson….not that I know them, but I feel like I do! Anyway, off I go again…last night, staring at a couple of fresh zucchini, I wanted some inspiration beyond my usual zucchini bread, or ratatouille. 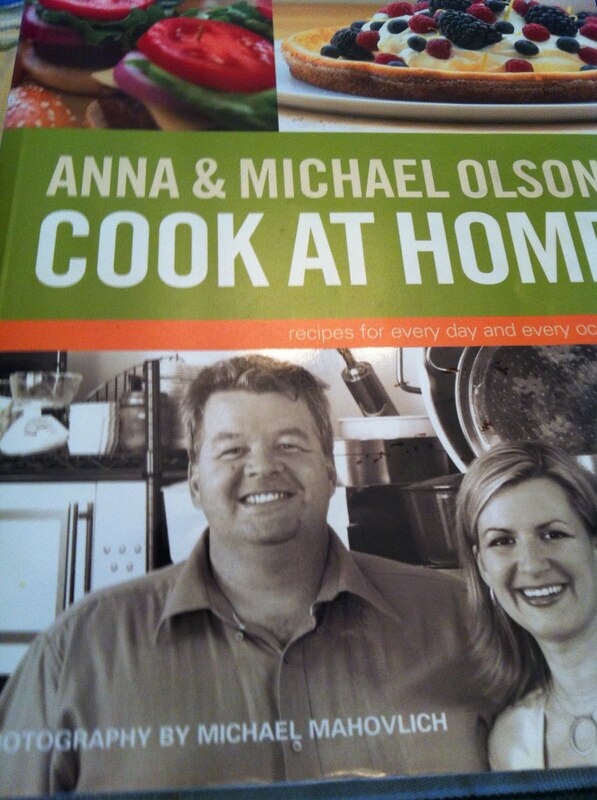 This book is always on hand, whether just looking for a quick idea, or a full recipe. I like the way the page is presented with clear unfussy directions and sharp photos that actually do the job intended; make you want to cook and eat everything in the book! I had just finished up some fresh corn, but had a can of niblets on hand so I used it. The process took 5 minutes to put together the ingredients and another 8 to cook the griddle cakes….giving enough time to put together a quick salad. 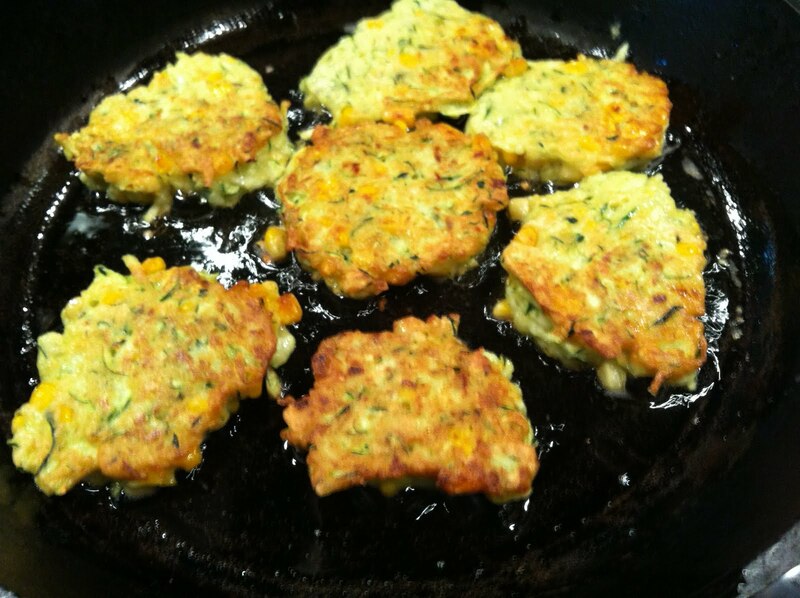 Stir zucchini, corn, flour, egg, baking powder and salt in a large bowl. Allow batter to rest 10 minutes. Heat the butter until it foams in a large skillet( I use cast iron for this ). Drop spoonfulls of the batter into the butter and fry over medium heat for 4 minutes per side until golden brown. I made a simple vinaigrette with olive oil, orange juice, dijon and maple sirup to toss the mixed greens. 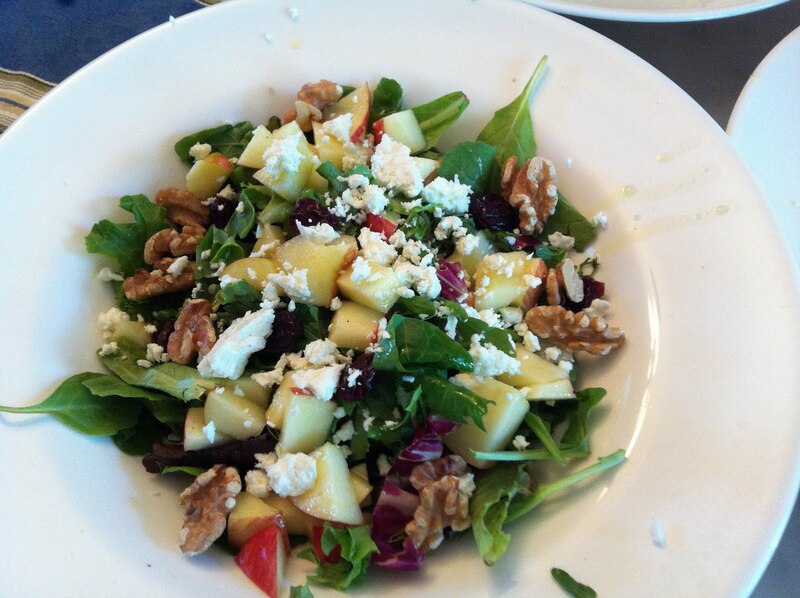 I added a few nummy bits to the salad including; dried cherries, toasted walnuts, apple and feta.